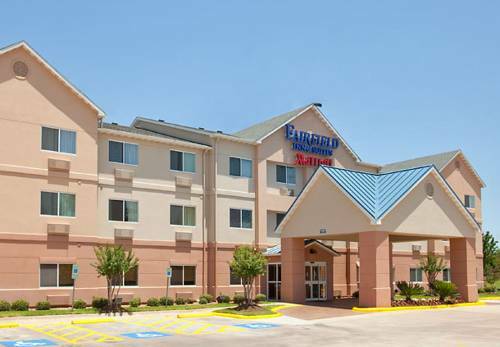 Welcome to Fairfield Inn & Suites Houston I-45 North, one of the top hotels near Spring, Texas. We are located in north Houston, TX, just off of I-45 and only 15 miles from IAH Airport, and near many area destinations. For the working traveler, we are near many businesses including the Exxon Mobile Campus, Sysco Corporation, Halliburton, and close to Ashton Gardens, one of the premier venues for weddings in the north Houston area. When you aren't busy visiting or working, be sure to check out the nearby historic Old Town Spring, spend a little time shopping at The Woodlands Mall, experience SplashTown, or head downtown Houston to the Downtown Aquarium. While staying at our Marriott hotel, start each day with hot breakfast on us, take a dip in our indoor pool or hot tub, and stay on top of your workout in our 24 hour fitness center. At the Fairfield Inn & Suites Houston I-45 North, you're our #1 priority. We promise you'll be satisfied, or we'll make it right. That's our commitment to you.